According to the Pew Research Center, in 2016, a whopping 77 percent of Americans owned a smartphone. This number is more than double what it was when the Pew Research Center first started tracking smartphone ownership in 2011. Back then, 35 percent of Americans owned smartphones. Furthermore, in 2016, there was a sharp rise in ownership among both older people and lower-income people. Smartphones are everywhere, and their coverage is growing. In addition to making phone calls, smartphones can do lots of other things. They can take photos, shoot video, play music, and access the Internet. They can also be used to record physician appointments without the knowledge of the physician. Secretly recording clinical encounters may sound sneaky, but in 39 of 50 states, it’s legal. Furthermore, research shows that recorded clinical encounters can be empowering and educational for patients. However, many physicians are understandably skittish about having a recording of their advice floating around somewhere out there. There isn't a lot of data concerning how prevalent secret recording is; the issue has only recently risen to some prominence. Each state has its own wiretapping and eavesdropping statutes. The statutes vary from state to state based on whether one or two parties must consent to recording a conversation, thus referred to as single-party jurisdictions or all-party jurisdictions, respectively. In total, 39 of 50 states as well as the District of Columbia are single-party jurisdictions—where only one party needs to consent. In other words, in these jurisdictions, if somebody wants to record another person—including a clinical encounter—it’s legal. There are 11 all-party-jurisdiction states in which both the clinician and patient must both consent to recording a conversation: California, California, Florida, Illinois, Maryland, Massachusetts, Michigan, Montana, New Hampshire, Oregon, Pennsylvania, and Washington. In these states, it’s a felony for a patient to record a physician without permission. In single-party jurisdictions—or most of the United States—if a patient asks to record a clinical encounter and the clinician refuses, the patient can proceed to record the encounter anyway. The clinician must then choose to continue or terminate the encounter. In all-party jurisdictions, the clinician must be asked by the patient to record the clinical encounter. Any illegal recording can then be reported by the clinician to the authorities. Possible repercussions include compensation for harm, attorney’s fees, and other costs, with disseminating the recording via the Internet being considered an additional violation. As with any formal medical record, the HIPAA Privacy Rule covers any audio or video recordings made by the healthcare practitioner, health plan, or health clearinghouse. However, HIPAA doesn’t extend to recordings made by the patient. In other words, in single-party jurisdictions, the patient can distribute the recording as pleased. What’s the Benefit of Recording? Research shows that patients put a high value on audio recordings made of clinical encounters. For instance, in a 2014 review, Tsulukidze and colleagues found that, on average, 72 percent of patients listened to recorded consultations. Furthermore, 60 percent of patients shared these audio recordings with loved ones and others. For the most part, these recordings have been shown to improve patient recall and understanding of their conditions. Other research findings suggest that patients and their family members often have difficulty comprehending what’s presented during a physician’s appointment because they are overcome with grief and complex emotions. Recordings can be played back later when the patient and family members are better prepared to understand the message, guidance, and advice. Oncologists have known about this phenomenon for some time, which is why recordings of encounters are commonly offered to patients who are being treated for cancer. In the previously mentioned UK survey, Elwyn and co-authors found that the prime motivation to record clinician encounters is to enhance the healthcare experience and to share the experience with others. However, some patients reported wanting to use the recordings as evidence of poor care. Especially at work, few people like to be recorded without their permission; physicians are no different. "Not all possible uses of these recorded conversations are beneficial to patients and physicians. Patient or family members who disagree with the advice of their physicians or who are upset with their physicians for whatever reason can easily take comments from these recordings out of context and, with a few keystrokes, disseminate them via social media. Patients can conceivably record conversations with the specific intent of establishing the grounds for a lawsuit or gathering material with which to manipulate a physician." Moreover, if a physician suspects or later finds out that an encounter has been recorded without consent, the doctor-patient relationship can suffer. First, these physicians may believe that they were denied the right to consent to recording. Second, physicians may feel vulnerable to scrutiny and distrustful of the patient. Ultimately, healthcare providers, policy makers, and patient advocacy organizations must come together to work out guidelines and regulatory guidance regarding patient recording. In the meantime, however, it may be a good idea for physicians in single-party jurisdictions to embrace the possibility that they’re being secretly taped during every clinical encounter. 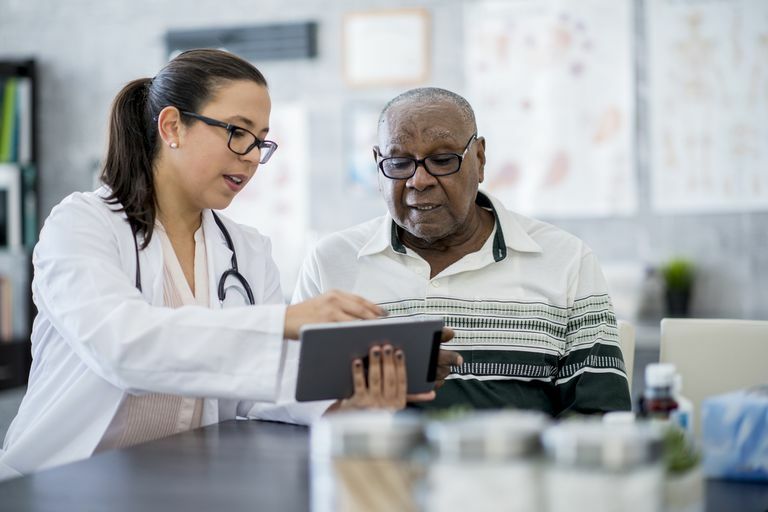 The physician could then proceed without letting any concerns about being recorded affect patient care, medical decision-making, or attitudes toward the patient. Alternatively, a physician could ask whether the encounter is being recorded, express assent, and educate the patient about the utility and best use of these recordings. Finally, even if there’s no legal obligation, it may behoove a patient to inform the clinician that they plan to record the encounter. Doing so may obviate any hard feelings, trepidation, or indignation on the part of the physician. Elwyn, G, Barr, PJ, Castaldo, M. Can Patients Make Recordings of Medical Encounters? JAMA. July 10, 2017. Elwyn G, Barr PJ, Grande SW. Patients recording clinical encounters: a path to empowerment? Assessment by mixed methods. BMJ Open. 2015;5:e008566. Rodriguez, M, Morrow, J. Ethical Implications of Patients and Families Secretly Recording Conversations With Physicians. JAMA. 2015;313(16):1615-1616. Smith, A. Record shares of Americans now own smartphones, have home broadband. Pew Research Center. www.pewresearch.org. Tsulukidze, M, et al. Providing recording of clinical consultation to patients – A highly valued but underutilized intervention: A scoping review. Patient Education and Counseling. 2014; 95:297–304. Why Won't My Doctor Spend Enough Time With Me During the Appointment?